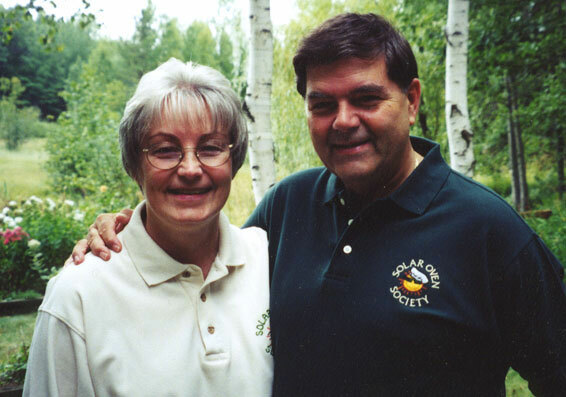 In the Fall of 1988, my wife Martha and I prayed for a project that we could both work on together. In December, the answer to our prayer was found in a newspaper article that outlined the problems that nearly 3 BILLION people face just to cook their food. Burns from falls into open fires, clothing catching on fire, etc. The article then reviewed the positive impact that solar ovens could make for a family in a sun-rich, fuel-poor country. After reading the article, I realized that this was what I wanted to work on the rest of my life. Martha agreed. The journey began. Now thirty plus years later, we continue to press onward. We learned how to make solar ovens out of cardboard boxes, aluminum foil and glass. After rain showers in Haiti began spoiling the cardboard, we made plywood solar ovens in Jamaica; beautiful to look at and heavy to carry. Materials that are imported by many developing countries are expensive, e.g. 4’x8’x1/2” plywood costing $75+ in the early 1990’s. We knew that someday we wanted a lightweight, durable, attractive and affordable oven made out of plastic. About that time, we were introduced to Persons Helping People a Minneapolis based 501 (c) (3) non-0profit organization. They were a trust fund looking for a project. We were a project looking for a trust fund. Perfect! After trying various other designs and materials, we settled on the current design. Initially we used recycled plastic soda bottles. This proved a challenge to adequately dry the resin. Our current housing and collar make use of recycled nylon resin. Volunteer engineers and others helped with designs, materials and assembly jigs. Individuals, corporations and family foundations helped with funding. As people from various cultures, agencies and denominations hear about our solar ovens, our network grows. We realized before we started on this journey that we may never be independently wealthy, but we could be independently happy. Sometimes our non-profit has been more non-profit than we liked. My father took a 2,250 mile trip by canoe from Minneapolis, Minnesota to Hudson Bay in 1930 with his classmate Eric Sevareid. You can read about it in Canoeing With The Cree. Dad and I used to talk about his adventure. I knew at an early age that I, too, needed to journey into uncharted waters. Martha and I are on that journey now. We have lots of extra room. Perhaps you would like to join us. We will welcome your participation.